Is Integrative Medicine Just A New Fad? In the early 1990’s physicians became interested in including alternative approaches to their medical practice. This includes procedures like acupuncture, hypnotherapy, and massage therapy among many others. This practice is known as integrative medicine as well as alternative medicine. 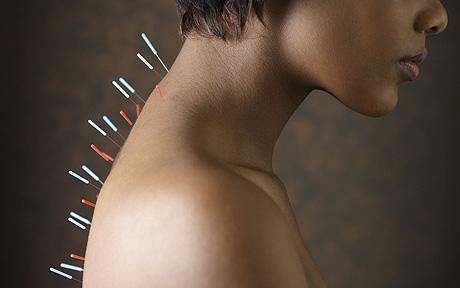 A commonly used type of integrative medicine is acupuncture. It began in china and other Asian countries, but it became truly popular when it spread to Europe and later America. Integrative medicine in the practice of using needles to manipulate and redirect a person’s energy flow in order to heal whatever is wrong. There are 400 different points in which these needles can be inserted depending on what is wrong with the person and where they need to be healed. These days, more than 3 million people use acupuncture, and well-known medical clinics recognize this practice and use it to treat some conditions. The World Health Organization supports the use of acupuncture for treating more than 28 medical conditions, including chronic pains, neurological problems, and addictions among many more. However, acupuncture is recommended for patients as longs as they are also balancing it with western medicine in order to get the best medical treatment possible. Also, what a lot of patients don’t understand is that it can’t treat every medical conditions, it does have its limitations. There will be times when it does not do the job you necessarily want. “I believe that alternative medicine is effective to a certain extent. Precautions should always be taken like any other practice. Personally I believe in western medicine, but I respect if patients want to take an alternative approach,” said Jose Castillo, a med-student at Nova South Eastern University. Hypnotherapy is another form of integrative medicine; it first began in the 1800’s when a team of doctors were put together to see the effects of the practice on patients and their problems. Hypnotherapy is used to guide patient into an alternate state of consciousness and from there subconsciously help them get over what they have. It has been used to help patients quit smoking, lose weight and sleep better according to a study done by the University of Minnesota. A lot of female patients use it to forget the pain of childbirth in order to be able to go through it again. Scientists know very little about how hypnosis works exactly, but they do know it has something to do with a biological reaction it creates inside the body, including the nervous system. As well as any other form of integrative medicine, it is not for everyone. Practitioners believe that patients that have an open mind are more susceptible to it, and it works better for them. Other practitioners believe there is no way of really determining whether it had any results or not, according to Oregon health and science University. Integrative medicine is definitely not for everyone; it is just an alternative to the common western medicine. Some people say that it works for them, while some people believe it does absolutely nothing for them. The results for people are never the same; it is a trial and error type of medicine as well as any other procedure. This entry was posted in Health and tagged acupuncture, hypnotherapy, integrative medicine, medicine. Bookmark the permalink.